The event is the largest exhibition and tradeshow across North America focused on developments in medical technology and devices. Attendees usually come from all over the world to network with suppliers and see the latest cutting-edge technology solutions in the field. For more information click here to visit the official MD&M West website. The conference timings are from 08:30- 17:30, Tuesday to Wednesday, February 5-6. The conference will close early on Thursday, February 7 and will run from 08:30 – 16:00. The Anaheim Convention Centre is really easy to find, as it is located adjacent to Disneyland. The parking for the centre is accessible via Disney Way. When approaching the centre via Disneyland Drive, turn left on Katella Avenue and left again on Harbour Boulevard, followed by a right turn onto Disney Way. The venue has excellent links to public transport and can be reached by taxi, buses and other public transport systems. For complete information on how to reach the centre, please visit the directions page on the website of the Anaheim Convention Centre. The Expo has a free registration and free entry scheme for qualified registrants from the medical research and manufacturing field, as long as they register before February 5. However, sales and business development professionals will be required to pay $179 to enter the Expo. Attendees who haven’t preregistered will be required to pay an entry fee of $179 at the venue. Entry to the conference is not free and there are a range of different prices, including early bird discounts on all access or two-day passes. Please visit the registration and pricing page for the event for more information. Laser technology has been a part of the medical technology field for many years now. Surgical procedures have introduced laser technology for precision, accuracy and effectiveness. Needless to say, SPI Lasers is closely connected with the advancement of this technology, see us at stand #2530 where we be glad to have a friendly chat. 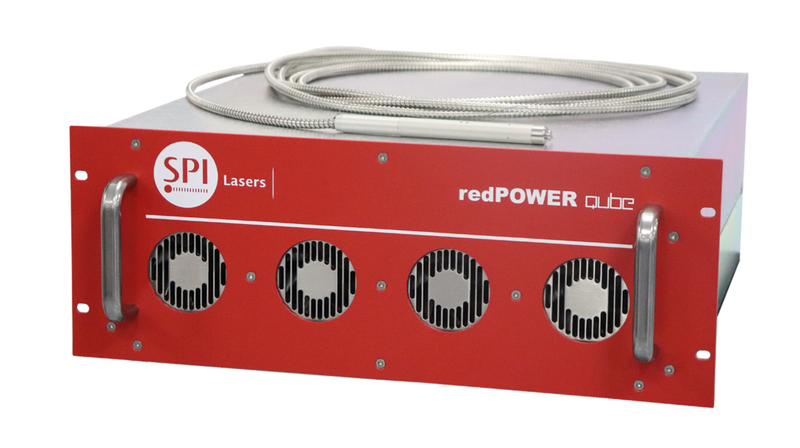 On stand we will have our latest development from our CW portfolio…our redPOWER QUBE 200W Air Cooled. To find out more about our CW product range click here! Below is a list of our SPI Lasers team members who will be attending this years MD&M West, see them on booth #2530.